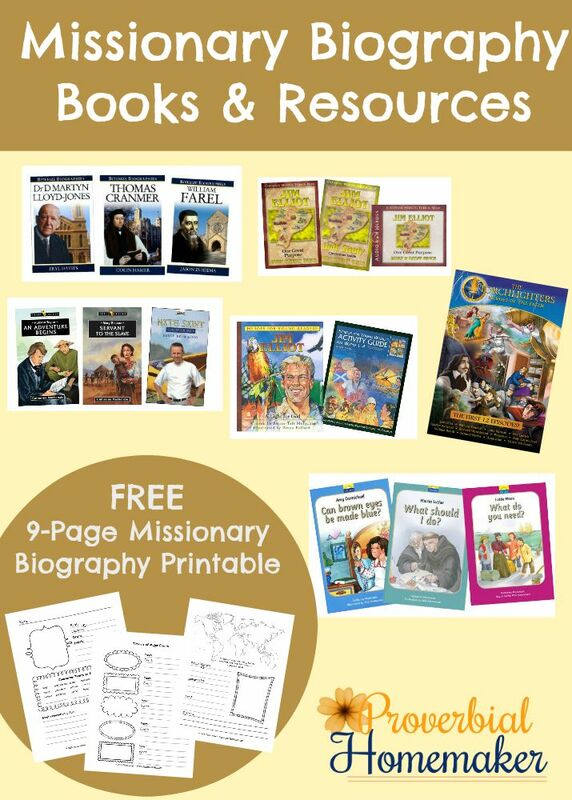 At the recent homeschool convention here in Oregon, my husband and I bought a huge set of missionary biographies for our family. We’ve eyed that stack of books every year and finally bit the bullet. We knew it would be our main purchase for homeschooling this year and we just wanted to dig in! 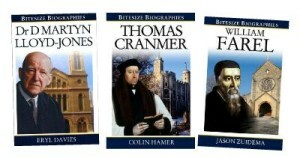 Since then, we have begun our journey into homeschooling using Christian missionary biographies and we are LOVING it. Everyone in the family is riveted to the stories and the discussions are amazing. We are all learning, growing, and are being pointed to Christ. It was one of our best homeschool purchases to date. 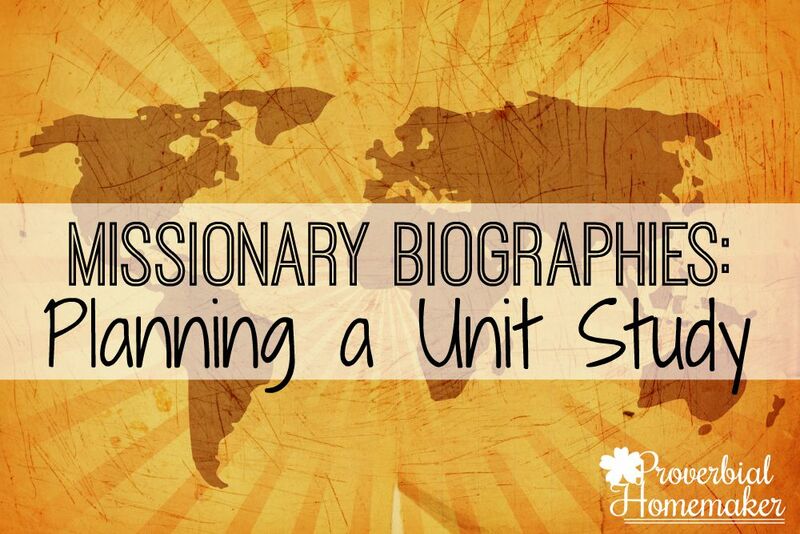 Tomorrow I’m going to share how to use missionary biographies in your homeschool by creating unit studies around them. But first I want to give you a good list of missionary biographies and resources so that you, too, can begin building a library of these amazing stories. You will also find below a set of notebooking pages I created for our own missionary studies. I’m sharing the printable with Proverbial Homemaker subscribers for FREE! 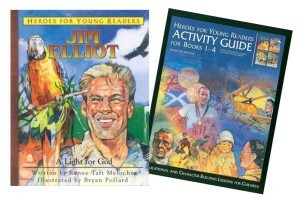 Note: I do suggest that for young kids (mine are 8 and under) you preview any videos and audiobooks about missionaries. There are pretty heavy topics and violent scenes in these stories! We choose not to use missionary biography audiobooks at this time for that reason. I can easily “edit” a book on the fly as I’m reading it. The young readers shown below handle this issue well. 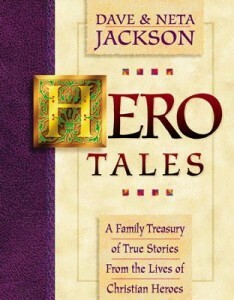 Hero Tales: A Family Treasury of True Stories from the Lives of Christian Heroes was the first book we read as a family that tipped me off to how great missionary stories would be. 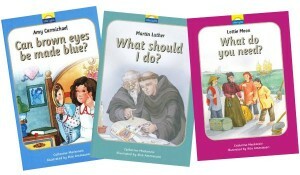 My kids LOVED these, and they give you an easy start with simple stories and devotions to read each day. If you aren’t sure if missionary stories will fly with your children, try this first! There are several volumes available. This is the giant set of books we bought! 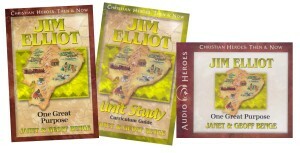 We purchased all the Christian Heroes Then and Now series and a handful of the Young Readers series. The regular books are great for read alouds but the latter are perfect for kids around 7-8 years old to read. You can also buy unit studies, activity guides, and audiobook versions. 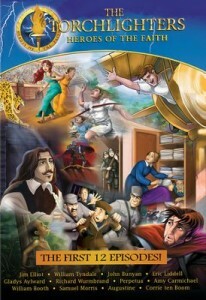 We purchased the set of first 12 DVDs for Torchlighters, which are animated versions of missionary stories! These still need to be previewed a bit for younger kids, but we skipped a little and still enjoyed the entire thing with your young crowd. You can buy the DVDs in sets or individually. 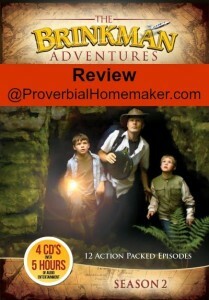 Our family LOVES The Brinkmann Adventures audiobook series! I originally left this off the list and I can’t believe I did! (Thanks the reader who reminded me.) They are so much fun, very high quality, and give our kids an excitement for the exciting things about missionary work. I also love that it shows the whole family interacting on their adventures and solving problems together. Highly recommend it! You can read my full review here. Little Lights books are engaging books for ages 3-7 with delightful pictures. What makes them unique is that the left hand side has text for the parent or older child to read, while the right hand side has an illustration and simple text for younger children to read. For that reason, these are next on my to-buy list! 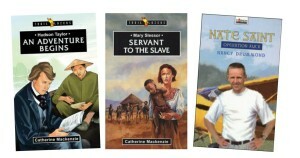 The Trailblazers series and Torchbearers series for 8-14 year olds worth checking out. For high school level biographies, try Bitesize Biographies from EP Books! 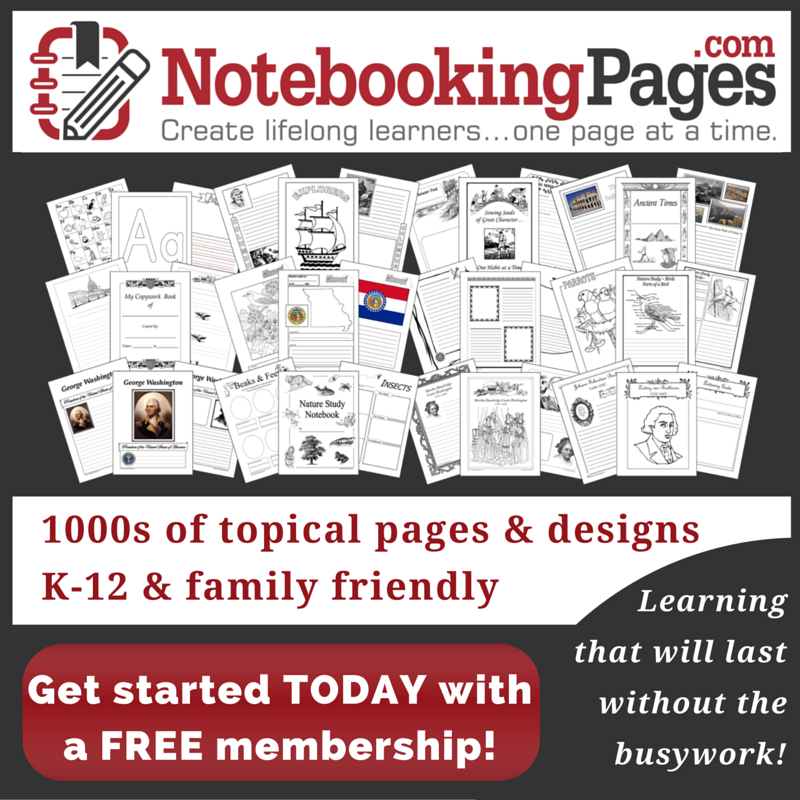 Find more great notebooking pages with this great FREE membership site! Download the Missionary Notebooking Pages! 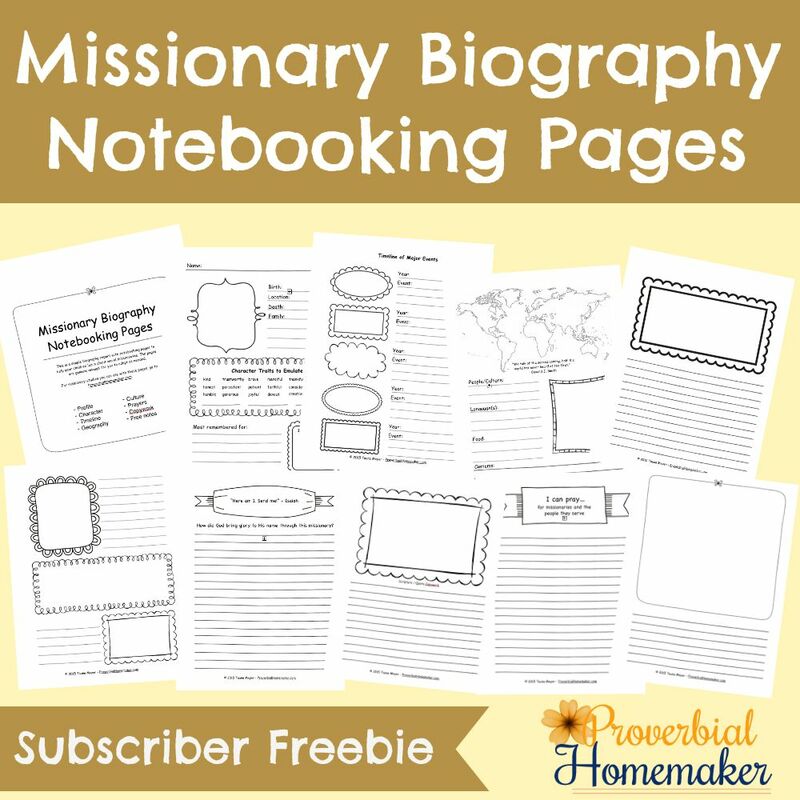 Get the Free Missionary Notebooking Pages! Find out how to use missionary stories in your homeschool! Another good resource is Brinkman Family Adventures–audio stories. The Brinkman’s are a fictitious family but the stories shared are true (with a website with the story behind the story that goes with it). The adventures are told in a way that incorporates the family while telling the amazing way God works in lives of real missionaries around the world. My kids love them and these were instrumental with a missions interest in them too. I picked up a bunch of the YWAM Christian Heroes Then and Now books (at probably the same convention in OR) and we are thoroughly enjoying going through them. Thank you for the other resources. Oh YES! I can’t believe I forgot that series. we love those audiobooks! I’ll go add those to the list now because they’re definitely worth telling people about. Thanks! The Christian Heroes book series and Christian Heroes unit studies have the same link. I’m assuming that is not what you intended. We used the YWAM Corrie Ten Boom Curriculum Guide and Book for a really good unit study last year incorporating the history of WWII and it was such a blessing to our family. I have bought many of the other books with the curriculum guides and we will be working through them. These pages you made will be used in our homeschool very soon. Thank you!